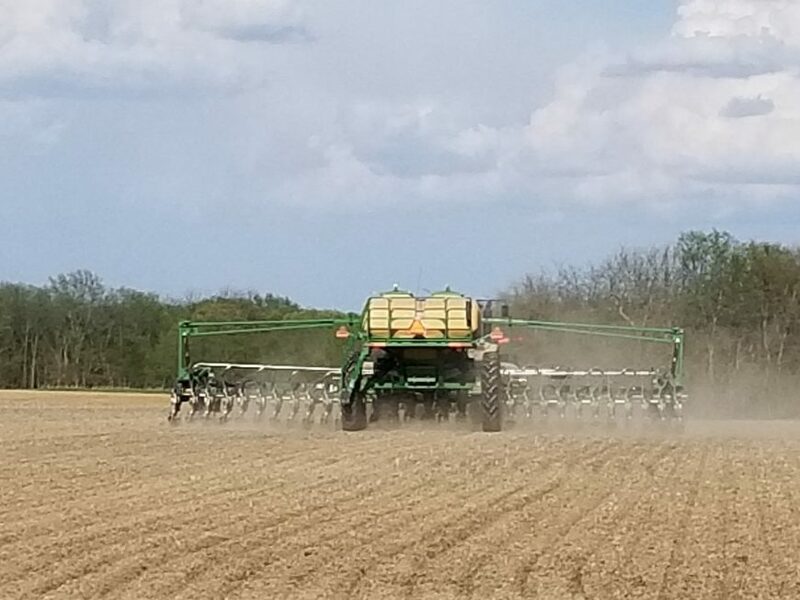 We finished up the 2018 planting season with beans on Sunday evening. The corn was finished the day before in the morning. It was the fastest planting season we’ve ever had. From the first day we went to the field to spray, until we finished planting, was 17 days. The first planted corn and beans are emerging. We’d like to see a rain to get the rest of it up in good shape. So far we’ve had a great year! !